Three Arabs breaking into Belz yeshiva in Jerusalem startled by student there, whom they beat and fled. Police investigating. 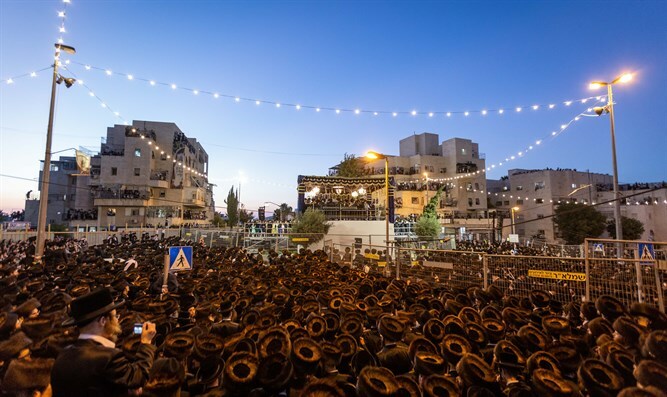 Three Arabs broke into the Belz Yeshiva on Agrippas Street in Jerusalem last night with the aim of robbing the rooms of the young men attending the Simhat Beit Hashoeva celebrations in the nearby Kiryat Belz neighborhood. One yeshiva student noticed the burglars and managed to call police before being noticed and held few minutes later to prevent the call. The yeshiva student reports that the Arabs beat him. Police arrived but the burglars had escaped. An investigation was opened at the Jerusalem's Lev HaIr station.